Jay Lethal, Jonathan Gresham, the ROH World Championship, and no less than 30 minutes! Only one will be the Iron Man, but what will it take to be champion?! Frankie Kazarian VS Mark Briscoe; Kazarian wins. ROH World Championship 30-Minute Iron Man Match: Jay Lethal VS Jonathan Gresham; Lethal wins and retains the ROH World Championship. Frankie Kazarian VS Mark Briscoe! The show only just started and these two are already brawling! They’re the opening contest and are fighting for momentum towards The Addiction challenging #DemBoys for their ROH World Tag Team Championships, but right now, they’re just fighting! Mark gets the edge and chops Kaz to a corner. He bumps Kaz off buckles then chops again, then adds a headbutt. Mark scoop slams Kaz and drops an elbow, then kicks Kaz back to a corner. He whips corner to corner and runs in, but Kaz goes up to sunset flip. TWO, but Kaz gets Mark with a forearm. Kaz whips Mark and hip tosses to a neckbreaker! Cover, TWO! Kaz keeps on Mark with haymakers, then whips. Mark reverses but Kaz holds ropes. Kaz puts Mark on the apron, but he anticipates the shoulder to hit the guillotine leg drop! Mark staggers, Kaz slingshots to take him down with headscissors! Fans cheer “S C U!” as Kaz stalks Mark around the side. Kaz rocks Mark with an uppercut, then puts him in the ring. Mark rolls out the other side, so Kaz pursues. Mark knees low then tosses a chair into the ring. The referee gets the chair out, so he misses Mark kicking ropes to indirectly low blow Kaz! Mark then kicks Kaz back out and leaps for the blockbuster off the apron! Mark starts tearing up the barriers just because before bringing Kaz up to chop him. They go around the side and Mark moves the railings. Kaz throws hands and it’s a brawl. Kaz gets the edge, but Mark counters with an apron back suplex! Mark puts Kaz in the ring but is too busy trash talking fans. He still gets Kaz in a corner with a clothesline and mudhole stomps. Mark grinds his boot into Kaz, then backs off at 4. He drags Kaz up but Kaz lands on his feet! Kaz fires haymakers, whips, but Mark reverses. Kaz slides off his back and then hits a backstabber! Mark staggers, Kaz springboards for a code breaker! Kaz runs in at Mark in a corner, for the swinging dropkick! He kips up and takes a bow, to then whip corner to corner. Mark goes up but ends up in the electric chair, for the drop! Bridging cover, TWO! The Heavy Metal Rebel has control while we go to break. ROH returns and Kaz is turning Mark for the Unprettier, but Jay Briscoe has appeared! Kaz runs him off, but Mark rolls Kaz! He has tights, too, but TWO!! Kaz escapes the cheat but Mark rocks him with a haymakers. Mark whips Kaz, so Kaz hits Jay with a wrecking ball dropkick! But Mark gets Kaz with a back suplex, then climbs up. Mark leaps but misses! Crucifix pin, Kaz wins! But of course, that just means Jay Briscoe gets to stomp away! Fans boo and jeer but here come the rest of SoCal Uncensored! Christopher Daniels and Scorpio Sky fight The Briscoes, but wait, Punishment Martinez is helping Jay & Mark? The Purple Mist wants payback for when Scorpio denied him satisfaction against Chris Sabin! The numbers are even but the strength is on the side of Sandy Fork. Jay Driller for Scorpio! South of Heaven Choke Slam for Daniels! Jay, Mark & Martinez stand tall now, but will they still have their gold when this is all over? Tonight’s the night to determine ROH’s Iron Man! Jonathan Gresham has worked his whole career for this. Jay Lethal is ready for no less than 30 minutes to prove to everyone that Lethal is the greatest. Round three is tonight, will The Franchise completely sweep The Octopus? Or will the hometown hero hold that gold high over his head? ROH TV shares highlights of an Honor Club Exclusive! Triple Threat Tag: The Dawgs VS Cheeseburger & Ryan Nova VS The Bouncers! Rhett Titus & Will Ferrara have had their issues with the underdog Cheeseburger, but that didn’t help them win. Beer City Bruiser & Brian Milonas take the win at the expense of Future of Honor prospect, Ryan Nova. Just as Burger was checking on his partner, Lil’ Willie went after him from behind. Ferrara mocks the Shotei but Burger fires back! Big Rhett gets in but gets hands from Burger. But Ferrara gets Burger with the BLL, hammerlock and lariat! Then each Dawg grabs an opponent, and Rhett makes Burger watch as Ferrara hits Nova with the Shotei! Then Ferrara aims at Burger, but Burger SPITS on Ferrara’s face! Ferrara grits his teeth and hits Burger with his stolen Shotei! The Dawgs brag and boast, but will this really be the end of their grudge with the fan favorite? ROH has backstage footage after last week’s main event. Silas Young found Bully Ray after the Hall of Famer left the Last Real Man high and dry against Best Friends, Trent & Chuckie. Bully clearly didn’t care about what Silas had to say, but Silas grabbed him by the face to make him care. For the full verbal confrontation, join Honor Club at ROH’s official website. ROH World Championship 30-Minute Iron Man Match: Jay Lethal VS Jonathan Gresham! The Franchise Player may have defeated The Octopus in their previous two encounters, but it took a lot more than anyone could’ve expected to do it. It may be 30 minutes, but will the third time be the charm for Atlanta’s own? Or will Lethal prove once and for all he is the best wrestler in ROH today? The introductions are made, the belt is raised, and we take a break before we begin. 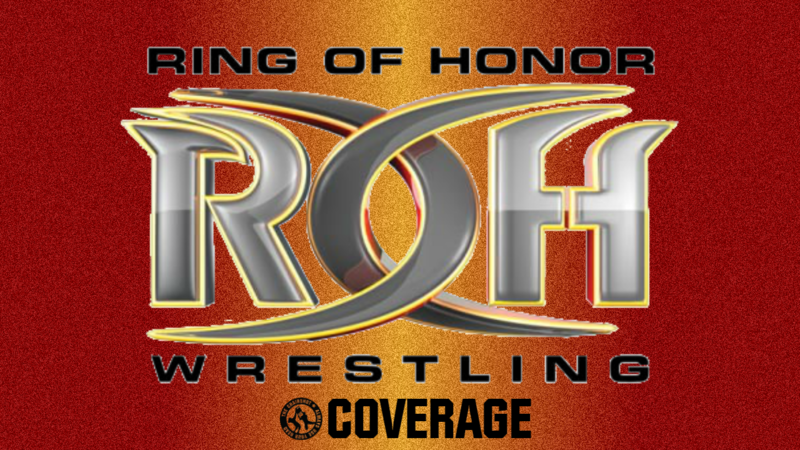 ROH returns and the Code of Honor is upheld. The countdown begins and fans fire up already. They feel it out and tie up. Lethal gets a wristlock and wrench, but Gresham works against it. Gresham slips behind for a waistlock but Lethal spins to go to an armlock. They stand up and Gresham puts Lethal on the ropes. Both men honor the ropebreak, and fans applaud the sportsmanship. Gresham and Lethal circle and tie up again. Gresham gets around to the waistlock but Lethal backs him to a corner. Lethal tries to honor the break but Gresham keeps grabbing at him. The referee pries them apart and Lethal gives Gresham a shove. Gresham shoves back, but both men cool off. They tie up again and Gresham gets the wristlock this time. Lethal rolls, handsprings and reverses the hold. Gresham spins but can’t pry himself free. Lethal twists the wrist and brings Gresham to the mat. Gresham gets up to arm-drag Lethal, but Lethal holds onto the wrist. Lethal shifts to an armlock, but Gresham backs him up and arm-drags again. Lethal still holds on and arm-drags Gresham back to get the armlock. Gresham rolls up and gets a takedown, then twists Lethal’s foot in a toehold. Lethal endures and even grabs at Gresham’s ear. Gresham shifts to a stretch muffler but only uses it to roll Lethal around. Gresham shifts to a headlock, and the two stand again. Lethal spins around to his own headlock and gets the takedown. Gresham gets up and cartwheels out, then gets a facelock. Lethal stands and back drops Gresham off. Gresham backs off to ropes while Lethal checks his neck. The two circle again and fans build to a rally. They tie up again, and struggle for wrist control. Gresham gets control but Lethal gets a leg. Gresham bends Lethal’s arm and puts it in a painful double wristlock. Lethal powers Gresham to a corner, and pushes him away at the ropebreak. These two are still very even as we go to break. ROH returns and Gresham powers out of another headlock. Lethal runs him over with a shoulder and things speed up, and Lethal blocks Gresham’s hip toss to give a hip toss. Lethal cartwheels and dropkicks Gresham down! Cover, ONE, but Lethal keeps his cool. Gresham goes to the ropes but Lethal is on him. Lethal scoop slams then covers, ONE. Gresham grabs the ropes, then stands up to chop Lethal. Lethal throat chops back! Lethal puts Gresham in a corner for a true chop of his own, then yanks him out with a saido suplex! Cover, TWO! Lethal looms over Gresham, but Gresham won’t allow the chinlock. Lethal kicks Gresham, but that only makes Gresham mad. Gresham grows stronger with every kick, and he gives Lethal a blunt chop. Lethal chops back and it staggers Gresham. Lethal lifts Gresham again but Gresham manages to land on his feet. Gresham spins out of the facelock to chop Lethal back. Lethal overhand chops, and Gresham falls to his knees. Lethal snap suplexes and floats to a cover, TWO as Gresham bridges out! But Lethal keeps on Gresham with stomps and European Uppercuts. Gresham chops back, but Lethal chops him. Lethal snap suplexes again, but takes longer to cover. TWO, so Lethal wraps on a chinlock. Fans build to a rally, and Gresham pries one of Lethal’s hands out to go after the fingers. Gresham stands up and chops Lethal. Lethal eggs him on, so Gresham gives him another chop. They get face to face as Lethal eggs Gresham on more, so Gresham gives him another. Lethal knees low, but Gresham seems to be hurting. The 15 minute mark is announced as Lethal puts Gresham in a corner for more chops. Gresham still resists so Lethal whips him corner to corner. Lethal runs and stops the boot, but Gresham pries free to sunset flip. Lethal rolls through but Gresham gets a takedown and rolls Lethal to kick out the arm. Gresham keeps going, tilt-o-whirl facebuster! Gresham’s back slows him down but he’s evened things as we go to break. ROH returns and Gresham has Lethal on the outside. Gresham pursues and chops Lethal, so Lethal chops back. They brawl and Gresham hits Lethal’s bad arm. Gresham wrenches the arm from shoulder to elbow and gets a hammerlock, to bounce it off the apron! Gresham refreshes the ring count and goes back after Lethal. He drags him around to stomp the bad arm. He tortures the arm from elbow to wrist to hammerlock and STOMP it! Gresham refreshes the count again, but Lethal gets back in anyway. Gresham has Lethal in the corner, then grabs a leg. He gets a takedown, spins around to a side headlock. He traps one arm while going after the bad arm. It’s a cover, TWO! Lethal endures as Gresham continues to torture that arm. Another cover, ONE, crucifix, TWO! Gresham arm-drags and has Lethal down again. He traps the arm in a step-over hammerlock, then pulls that bad arm as far back as he can! Gresham steps over again to hold Lethal in place while simply standing. Gresham claps with Lethal’s hand, to then fall back and tweak Lethal’s arms that way. The 20 minute mark is announced while Gresham adds a leg to the hold, meaning they have 10 minutes left. Gresham has made Lethal a pretzel and covers, TWO! Lethal manages to escape, but Gresham keeps on him. Gresham wrenches the bad arm, but Lethal chops! Lethal goes after Gresham’s arm but Gresham forearms the bad left limb. Lethal still chops, but Gresham chops back. Another chop from Lethal, another chop from Gresham, and they’re struggling for wrist control all at the same time. Lethal chops, Gresham chops, repeat, repeat, repeat! Fans echo “Woo! Woo!” with every chop, Ric Flair would be proud! Gresham switches it up and tweaks the arm between his feet, then runs, but into the backbreaker. Gresham denies the full Lethal Combination with a backslide! Lethal rolls through to try it again, but Gresham counters the Combination with a school boy. TWO, and Lethal hits a bicycle and enziguri kick combination! Both men are down and the score is still 0-0 while we go to break. ROH returns again and Lethal runs. Gresham goes the other way, slides under and then follows through to springboard quebrada! Lethal bails out and Gresham builds speed to dropkick the legs out. Gresham copies Lethal now, but Lethal sees it coming. Lethal gets in to triangle dropkick Gresham out. Now Lethal builds speed, to DIVE! It hits, but Lethal will ditch the hat trick. He puts Gresham in and then climbs up top. Lethal aims, Hail to the- No, Gresham sticks a foot out but Lethal anticipated it. Lethal goes for the Figure Four but Gresham slips out, only to run into the full Lethal Combination! Cover, TWO! Lethal stalks Gresham to the ropes, but Gresham holds on to deny the whip. Lethal chops Gresham to then whip. Gresham reverses and wrenches the arm into a stunner! Then spinning double ax handle! Then BIG German Suplex! The 25 minute mark is announced as Gresham bridges, TWO! There’s only 5 minutes left yet neither man has a fall. Gresham keeps focused and fans fire up for him. Gresham runs, but fakes out the bicycle boot to get a Snap German Suplex, then a running right hand! Cover, TWO, but into the armbar! Lethal denies by clasping hands. He makes it a cover, TWO, so Lethal goes for the figure four. Gresham kicks Lethal right in the face! Gresham runs, but into a SUPERKICK! Lethal handsprings, but Gresham kicks out the arm! Tilt-o-whirl takedown, then slip around to the Octopus Hold!! He even hammers away on Lethal’s neck and shoulder! Lethal TAPS, Gresham gets a fall!! The Octopus has the lead with time winding down! And most impressive of all, was that he made Lethal submit! Can Lethal recover to tie things up? Or is there just not enough time for even The Franchise to get even? The clock is down to three minutes, and the second fall begins already! Lethal goes right at Gresham with endless knees! He suplexes but Gresham slips out. The two minute warning is given as Gresham rolls Lethal back, TWO and Lethal goes for the Figure Four! But Gresham denies it by holding the main leg off! Gresham won’t let Lethal submit him back. Lethal chops Gresham, and chops, and chops. He gets the hold! Gresham endures, flails, but Lethal puts all he can into this hold. Both men are enduring their own pain, and the hold becomes a cover. TWO, but Lethal chops Gresham again! Back to a Figure Four cover, TWO, but another chop! Another cover, TWO, now a kick! Cover, TWO!! Gresham grabs Lethal just to keep himself from falling back. He even tries to turn this hold around! Lethal keeps it in his favor, but Gresham elbows Lethal. 90 seconds remaining, and Lethal puts whatever he has left into the Figure Four! Gresham TAPS, we’re tied!! Gresham could not hold off for another minute and a half, and now we’re back to square one! How can Gresham get one more fall in such a small window? Lethal clutches his arm as he crawls away while Gresham clutches a leg. Both men have put so much into this, and we’re down to the final minute. Lethal gets up, grabs Gresham’s wrist, and drags him up. Gresham rolls him up, TWO! Thirty seconds, cover, TWO! Cover, TWO! Cover, TWO! Grseham keeps trying every cover he knows, TWO! Lethal rolls Gresham, TWO! The clock hits 00:00, and it’s a DRAW! Fans don’t want this match to end this way. Gresham was so close, and he wants a mic. Gresham speaks, saying “There is no way in this world that I’m gonna come this far, 14 years, I started right here in Atlanta, Georgia. There is absolutely no way I’m letting you leave this building with that kind of decision.” Gresham wants Lethal to prove he’s the man and the champion we believe him to be, he’ll go just five more minutes. Fans want “Five More Minutes!” but it’s up to Lethal. Lethal’s response? “Start the clock.” Yes, we’re getting a five-minute overtime period! ROH World Championship, Five Minute Sudden Death! Lethal and Gresham quickly prepare and we begin! Gresham and Lethal fire off forearms fast and furious and the fans are thunderous! Neither man slows down, but Gresham gets the edge. Lethal chops and hits a roaring elbow, but Gresham kips up for an enziguri! Lethal staggers and Gresham gets him in a waistlock. They trade standing switches around and around, but Gresham breaks the chain as he throws Lethal. Gresham drops a knee on the bad arm! Then La Mahistrol into the bridging clutch, TWO!! Gresham knows he’s close, but he has to come up with something else to finish this. He gets up, grabs Lethal’s bad arm, and hammerlocks. Lethal reverses to a torture rack while fans duel. Lethal uses the rack to bend Gresham back, then hits an inverted rolling senton! Gresham is down, Lethal climbs up. Hail to the King at the three minute mark. Cover, TWO!? Lethal still has time on his side, but he doesn’t want to settle for another draw. Fans rally up as he brings Gresham up. Lethal wants a bomb but Gresham fights out and huricanranas. High stack to jackknife to sunset flip to another high stack and sunset, Lethal has the cover, TWO! Two minute warning and Gresham leaps on for a sleeper hold! Lethal begins to fade, but he backs Gresham into buckles. Gresham hops back on, so Lethal gets a cutter! Lethal handsprings, for THE Lethal Injection! Cover, Lethal wins and finishes this! Just over 33 minutes and this instant classic finally ends. The Octopus falls short of his dream, but he once again pushed The Franchise to his limits. If Lethal can retain even after all that, what will it take for someone to take that belt away from him? What will it take for Gresham to finally claim the title for himself? An amazing episode of ROH, and it’s pretty much all about that Ironman match. Kazarian and Mark Briscoe having their match from the very start of the episode was good, it actually feeds the story between The Addiction and The Briscoes for it to have it start even before cameras are rolling. Punishment Martinez joining The Briscoes was a nice touch given the previous week. I bet this means Scorpio Sky joins Chris Sabin in challenging Martinez for the ROH World Television Championship for a triple threat. That way, Martinez can still stay strong even if he loses the belt. 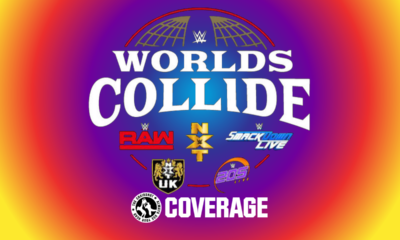 As for Daniels & Kazarian, I’d imagine they win the tag titles and use those in their contract countdown story to negotiate new contracts. Then if Scorpio gets the ROH WTVC, we could have a golden SoCal Uncensored. I like the plug for both Honor Club and the escalations in both Cheeseburger’s story with The Dawgs as well as Silas’ story with Bully Ray. 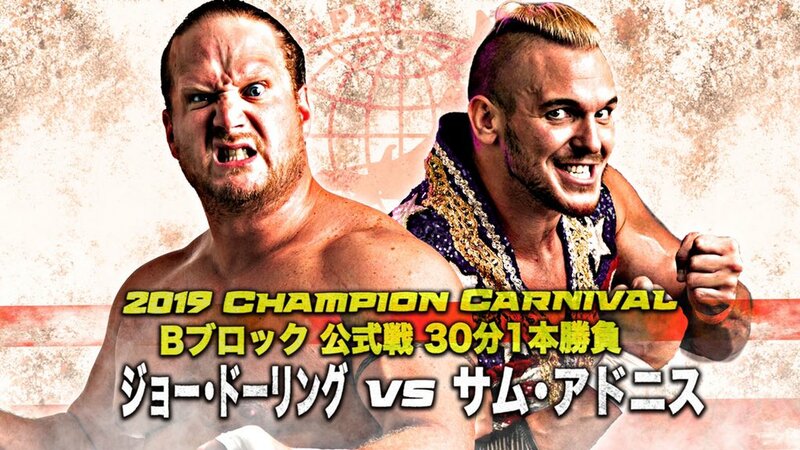 It would be such a weird twist if Bully teamed with The Dawgs to face Silas Young, Cheeseburger and Flip Gordon. At the same time, The Bouncers being Silas’ friends, would be rather torn. They like being the big bad bullies, but they might not stand for Bully bullying Silas. Maybe they’d turn Face Tweener with Silas to counter Bully, or go hard Heel and side with Bully over Silas. Then whatever happens, a trio can emerge from this to jump into the World Six Man title scene against The Kingdom and the Bullet Club. That Ironman match, that was amazing. It wasn’t high-scoring, but that makes it good in its own way. They were going hard for the majority of the normal time limit, and it was so great for Gresham to score the first fall. Ironically, if this was a normal match, Gresham would be the new champion, but the match continuing gave Lethal his chance for a comeback. Lethal wins out in the end, because as great as it would’ve been for Gresham to surprise us all, it might still be too soon for him to be world champion. Lethal will certainly retain until Dalton Castle returns to the ring to get his rematch. 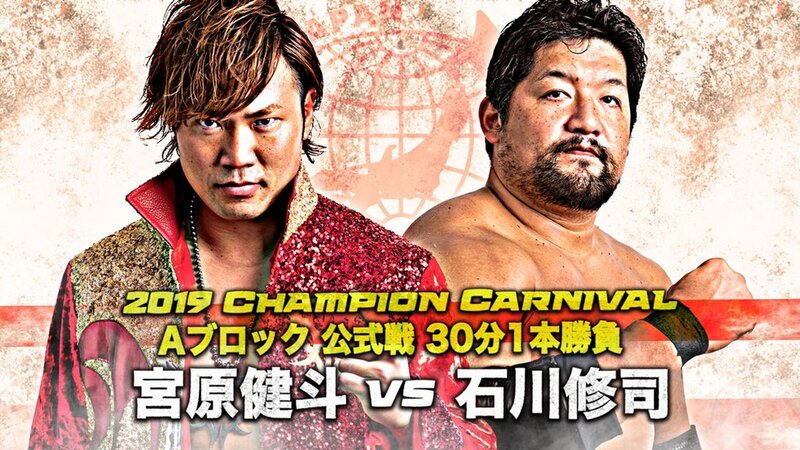 Franchise VS Peacock will be great, and could go either way, but I would certainly hope it is something on the level of this Ironman match.